Join our newsletter and never miss a FREE update. 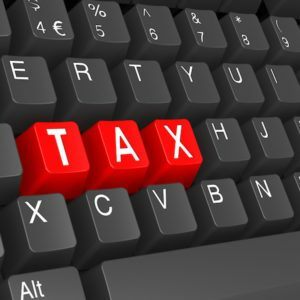 Online Tax Preparation – Is Self-filing Self-Defeating? Online Tax Preparation – Should I Self Prepare My Return? Online tax preparation is a popular option for taxpayers that choose to self-prepare their own return. But is it self-defeating? It can be. For simple returns, it can be a good strategy to save money. You have a simple tax return: The benefits of using a tax professional are very little if you have a straightforward, simple return without a lot of deductions or complexities. For example, if you don’t have investments, you don’t live overseas or have overseas bank accounts or investments, rental properties, own a business, or other more complex tax situations. You Can’t Afford A Tax Professional: If you can’t afford to hire a tax professional, online tax software such as Turbo Tax and Tax are user-friendly and a good option when you can’t afford the best. But whether your return is simple or complex, a false assumption is that the online tax software will automatically prepare a correct tax return. This is generally only true if the user has a clear understanding of their tax documents, tax situation and of the question being asked on the screen. It is do-it-yourself tax preparation, but it still relies on you to be the human expert to make the correct input. Unfortunately, this is not the case for both simple and complex return filers as most don’t have any foundation in tax law, thus there generally will be a lack of understanding of both tax documents and questions being asked. The old adage holds true – garbage in, garbage out. At Tax Samaritan, the majority of returns that we see that were self-prepared using online tax software have errors – not because of an online tax software mistake, but rather one made by the taxpayer. There is one guarantee with taxes. Congress is always working overtime to make the tax code more complex every year. The byproduct is that self-filers find themselves in situations where the IRS is issuing notices on mistakes made on their return – both errors and omissions because tax preparation is not becoming any easier. Over the last few years, at Tax Samaritan, we find ourselves helping more taxpayers who have received increasingly more correspondence from the IRS. Online tax software can’t create tax savings out of thin air. It’s up to you to keep great records of your income and expenses so the tax software can optimize your tax savings. But, you also have to answer all questions accurately and correctly. Using online tax solutions can save you money compared to a tax professional in the form of lower preparation fees, but time to prepare is a consideration. Your return may take hours of your time to prepare in one sitting or over the course of several days so the opportunity cost of the lost time spent preparation your own return is also something to think about. Our goal at Tax Samaritan is to provide the best counsel, advocacy and personal service for our clients. We are not only tax preparation and representation experts, but strive to become valued business partners. Tax Samaritan is committed to understanding our client’s unique needs; every tax situation is different and requires a personal approach in providing realistic and effective solutions. Tax Samaritan is a team of Enrolled Agents with over 25 years of experience focusing on US tax preparation and representation. We maintain this tax blog where all articles are written by Enrolled Agents. Our main objective is to educate US taxpayers on their tax responsibilities and the selection of a tax professional. Our articles are also designed to help taxpayers looking to self prepare, providing specific tips and pitfalls to avoid. When looking for a tax professional, choose carefully. We recommend that you hire a credentialed tax professional such as Tax Samaritan that is an Enrolled Agent (America’s Tax Experts). If you are a US taxpayer overseas, we further recommend that you seek a professional who is experienced in expat tax preparation, like Tax Samaritan (most tax professionals have limited to no experience with the unique tax issues of expat taxpayers). Randall Brody is an enrolled agent, licensed by the US Department of the Treasury to represent taxpayers before the IRS for audits, collections and appeals. To attain the enrolled agent designation, candidates must demonstrate expertise in taxation, fulfill continuing education credits and adhere to a stringent code of ethics. Do you want to ensure that you are paying the lowest tax liability legally possible? And ensure that your return is accurate, complete and complies with all tax laws? Request a quote to see how I can help you. It was very easy to work with you and your team this year. Before your service, I was using a part time tax accountant in Tokyo who was more expensive, but didn’t cover all the allowable deductions and so I paid US tax every year. With your team working on my return, it was simple to follow along in your intranet site, submit documents, do messaging and to get the maximum allowable deductions so I don’t owe taxes. I will be back next year. Thanks. What Is The IRS Form 1042-S? Since 1997, Tax Samaritan founder Randall Brody has been helping people save money. We specialize in tax solutions and wealth management for U.S. taxpayers with a special focus on assisting Americans living abroad. Our tax and financial services are very straightforward. Tax solutions and wealth management is much more than just a tax return and a retirement account as it encompasses all parts of your financial life, including tax and investment planning *. We want to help solve your tax and financial issues and enhance your financial situation. Why Should You Choose Tax Samaritan?